Remember from last week’s article where Jesus fed over 5,000 men, women, and children with just two fish and five small loaves of bread? Well after this, Jesus and His Disciples took a boat across the lake there to get some rest. But the people all followed them to see more miracles and learn how Jesus did those things. They didn’t really want to learn from Jesus or hear Him teach; they just wanted more free food and healings. Jesus knew what was really in their hearts, so He said to them in John 6:26, “Why are you looking for me? Is it because you saw miraculous signs? The truth is you are looking for me not because you saw God in my actions, but because I fed you and for free.” The people thought just maybe if they knew how Jesus did these things, they wouldn’t have to work or buy food ever again. Bread was (and still is) a very important food for all these people. They ate it at every meal, and it took ingredients and time to make, so if they could repeat Jesus’ miracle for themselves that would be wonderful they thought. Jesus told them that He was really talking about more than earthly food that eventually spoils and is no good. He was talking about “soul” food that comes from God and gives us eternal life. When the people asked Jesus what He wanted them to do then, Jesus told them in verse 28, “believe in the One He sent.” Jesus meant believe in Him because He was sent from God. We do need food (bread) to live, but Jesus provides more than just physical food for our bodies. He provides bread for our hearts — the bread of His example and His Word from the Bible. Jesus said, “I am the bread of heaven.” Jesus’ bread nourishes our eternal life. We must eat good food to stay alive, but don’t forget to eat God’s food by reading His Word, going to church, and praying. Then we will have not only wonderful physical bodies but also wonderful hearts for the Lord. Let’s say a prayer. Thank You God for not only our physical food that we eat every day but also for Your food — the bread of heaven. Without it, we would never have eternal life and get to be with You in heaven. Help us to remember to “eat” Your bread every day too by trying to live by Your example. In Jesus’ name we ask these things. Amen. 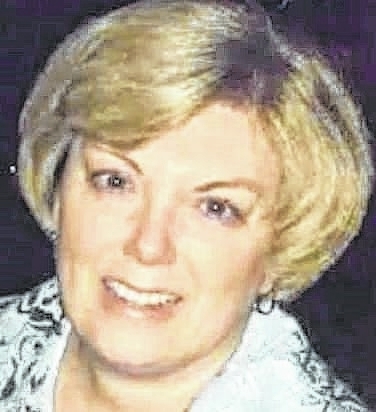 Ann Moody is pastor of Wilkesville First Presbyterian Church and the Middleport First Presbyterian Church.